We, at Spartanburg Family Dentistry, are proud to offer the newest technology when performing dental procedures from tooth-colored dental fillings to full mouth restorations. Our advanced equipment allows us the capability of providing peace of mind and comfort to our patients as they undergo any dental procedure. Feel free to browse through the many dental services we offer and contact us today if we can further educate you on these services. Our goal is to help you restore or maintain your beautiful smile for a lifetime. Tooth-colored fillings are a more cosmetic alternative to the traditional amalgam fillings many patients are familiar with. They are natural looking and provide an attractive restoration that will last for many years. 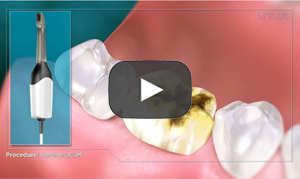 These composite fillings can be used to restore broken and decayed teeth and replace defective metal fillings. They are superior to metal fillings because they are made of a composite material that does not contain mercury, are bonded in place and do not expand and contract due to temperature changes. Finally, they are preferred by patients because they are virtually invisible. We, at Spartanburg Family Dentistry, use these fillings exclusively because they provide an excellent option for people concerned about preserving their smiles and maintaining strong, healthy teeth. More than a cosmetic enhancement, these restorations actually strengthen teeth. 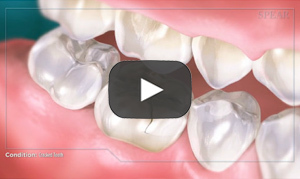 Inlays can often be used in place of traditional dental fillings to treat tooth decay or similar structural damage. Whereas dental fillings are molded into place within the mouth during a dental visit, inlays are fabricated indirectly in our CEREC before being fitted and bonded to the damaged tooth. These restorations are called "inlays" because the material is bonded within the center of a tooth. Inlays can be used to replace old dental fillings or to repair damage to the biting surfaces of the teeth caused by tooth decay. Porcelain is a great cosmetic option because it can be engineered to match the color of the natural tooth. Inlays are typically created during one dental visit. 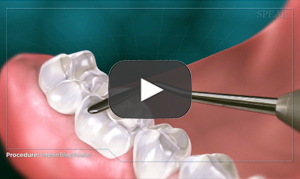 At this visit, the old filling or the decayed portion of the tooth is removed and the tooth is prepared for the inlay. A dental scan is taken of the tooth, which will be used to create the inlay in our CEREC. Minor adjustments are made if necessary once bonding is complete. We are proud to offer the latest in dental technology, with Chairside Economical Restoration of Esthetic Ceramics, more commonly referred to as CEREC crowns. Since we have invested in CEREC technology, wearing temporary crowns while waiting for custom-made, permanent crowns to be created in a laboratory is no longer necessary. 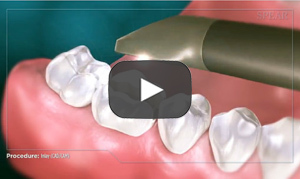 Our patients can now get long-lasting and durable CEREC crowns in just one dental visit. Our commitment to the continued use of state-of-the-art software and equipment makes this possible for our patients. 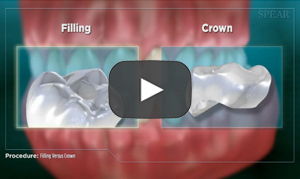 CEREC crowns provide our patients with a convenient and innovative answer to their dental needs. 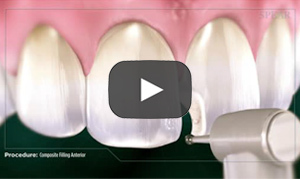 The CEREC system uses 3-D design software and an in-house milling machine to design custom-fitted crowns, eliminating the need for messy impression molds. 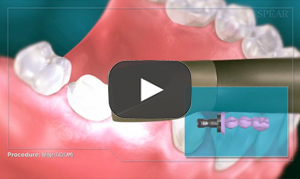 Bridges are fixed prosthetics that are used as replacements for one or more missing teeth. It is important to replace missing teeth not only to aid in chewing and appearance, but also to prevent the tendency for adjacent and opposing teeth to gradually shift into the open space. Over time, bite and TMJ (jaw joint) problems can develop. Bridges prevent these problems by filling the interproximal spacing with an artificial tooth attached to either a permanent dental implant or the adjacent natural tooth. Although several types of dental bridges are available, the most commonly used is the traditional bridge consisting of an artificial tooth attached to two or more crowns. A personalized consultation will allow Dr. Summers and our highly trained team to determine what type of bridge will address your dental concerns. Dentures/partials are removable appliances that are designed to replace and restore the function of missing teeth held in place by the surrounding soft and hard tissues of your mouth. We can customize a set of partial or full dentures by taking a series of impressions of your jaw to obtain precise measurements. 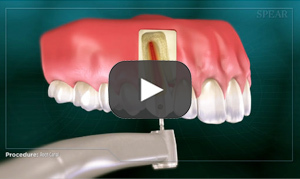 These measurements will be used to design accurate models for your dentures. Following these models, try-in appointments are made to allow us to determine the best fit, function and appearance for you. Upon your approval, the final dentures will be made and adjustments will be made as necessary. 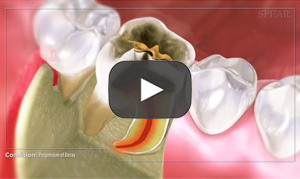 A root canal is performed to preserve the structure of the tooth while removing infection. A root canal is recommended if a tooth’s pulp becomes diseased, inflamed or otherwise abscessed. Dr. Summers then restores the tooth’s shape and size by placing a customized porcelain CEREC crown over the top area of the tooth to match the color of your surrounding teeth and contour of your mouth for a natural and comfortable fit. Regardless of how the pulp became infected, we have the state-of-the-art technology and experienced team to provide relief in one dental visit.